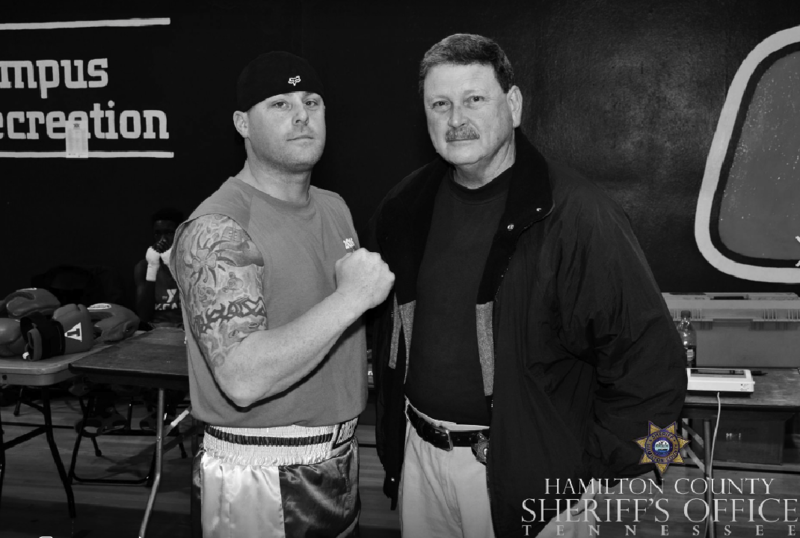 Hamilton County Sheriff's Office Deputy Blake Kilpatrick, left, and Barry Bennett. A Hamilton County detective under investigation for a Dec. 3 arrest in which he punched and kicked a handcuffed suspect was previously accused of violent behavior by a girlfriend. Kicking him while he down !! He was cuffed already !! Police brutality is real problem !! According to an order of protection petition filed in Meigs County Domestic Relations Court on June 6, 2006, Blake Kilpatrick forced his way into his then-girlfriend's home, threatened to hurt everyone there and hit her when he tried to punch another man. Law enforcement was called on Kilpatrick, who "had a violent temper" and refused to leave, the petition states. "Last night was even worse to where I'm scared of him," Sylvana Cashea Johnson, 17, wrote of her on-again-off-again fiancé of three years, who was then a deputy with the Meigs County Sheriff's Office. But two days later, Sylvana Johnson dropped her petition, court records show, and Kilpatrick was never arrested or charged with a crime. About a month later, she died in a car crash on a stretch of Highway 58 while Kilpatrick was driving, a news account in the Daily Post-Athenian shows. The Tennessee Highway Patrol investigated the crash, a records custodian said Wednesday, but any documentation has since been purged because of the age of the incident. Kilpatrick, 33, is now being investigated by the U.S. Department of Justice and the Federal Bureau of Investigation for a Dec. 3 arrest in which he is seen on video punching and kicking a handcuffed Charles Toney. Kilpatrick said Toney, 25, reached into his pockets against orders and spit at deputies during an arrest on an outstanding warrant for 2017 drug charges. He charged Toney with resisting arrest, assault and tampering with evidence, charges prosecutors dismissed on Tuesday after national civil rights attorney S. Lee Merritt and other community members disputed that account. Hamilton County Sheriff's Office spokesman Matt Lea said he could not answer whether the sheriff's office knew about the 2006 petition when Kilpatrick came to Hamilton County in 2009; he said the office's human resources director was out of the office Wednesday. Kilpatrick, who remains on desk duty while the investigations are pending, has been accused of excessive force since then. In a 2013 lawsuit that was later dismissed, inmate Adam Wininger said Kilpatrick beat him while he was handcuffed in the Hamilton County Jail. Wininger wrote he needed six staples to close a head wound. A current wrongful death civil lawsuit also accuses Kilpatrick of being involved in the fatal shooting of Christopher Dalton Sexton, who led law enforcement on a cross-county car chase in 2017. Kilpatrick could not be reached for comment at a number listed in court documents. His Chattanooga attorney in the Sexton lawsuit, Jerry Tidwell, declined to comment on the petition. Charles Toney Jr. listens as his attorney speaks during a news conference at the Hamilton County-Chattanooga Courts Building on Thursday, Dec. 13, 2018, in Chattanooga, Tenn. In the news conference, attorney S. Lee Merritt called for the firing of Hamilton County sheriff's deputies who were filmed punching and kicking Toney and for the district attorney's office to drop criminal charges against him. Teresa Johnson said her daughter and Kilpatrick met as students at Meigs County High School; she was a freshman, he was a senior. But their relationship was often strained, she said. On one occasion, when Sylvana Johnson got a ride home from another man in 2005, Kilpatrick chased them in his Jeep until they crashed, her mother said. The Times Free Press tried to obtain records of such an incident, but the Meigs County Sheriff's Office said any reports before 2008 are stored on a special hard drive that could not be immediately accessed. Kilpatrick proposed in April 2006 and Sylvana said yes, her mother said. But soon after, things got worse. In June, Kilpatrick burst into the Johnsons' home when he learned Sylvana Johnson was planning a senior church trip with two male classmates. That prompted the order of protection. 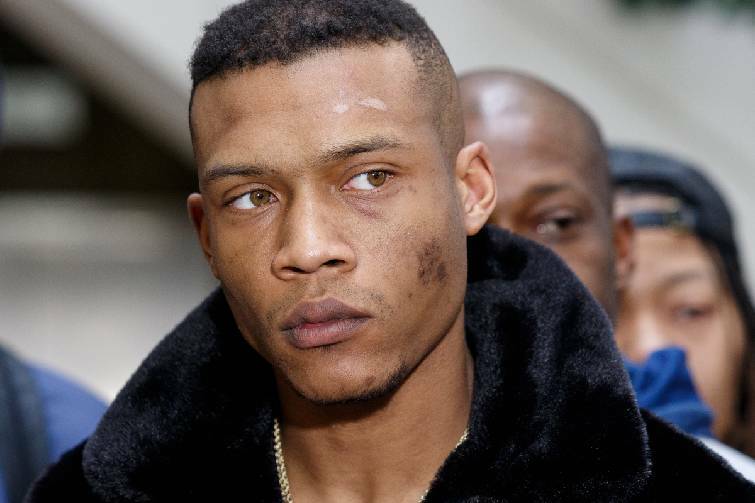 That July, the family banned him from attending Sylvana Johnson's 18th birthday party, her mother said. Just a few weeks later, Sylvana Johnson died on July 23, 2006. While the crash report is not available, Teresa Johnson said it happened shortly after the couple had gotten into an argument while attending a concert. Later that night, as Johnson was vacuuming the house, she noticed it was late and told her husband to call Sylvana. "When he called, one of her friends had come across the wreck and found her phone down the road and answered it," Johnson said. "She told us they wrecked. She saw his black Jeep. He was in an ambulance, and she was dead." Kilpatrick was not charged with any crime.